​The Vancouver Gunners is the website of the Artillery on the mainland of British Columbia. It is a joint venture of the Regimental Society, the Vancouver Artillery Association, the Museum and Archives Society and the 15th Field Artillery Regiment, RCA. We are the men and women, regular and reserve, serving and retired that have served in the Royal Regiment of Canadian Artillery, their families and other supporters of the Regiment. The main focus of the site is to introduce the current activities and the past history of the 15th Field Artillery Regiment, RCA. There are several components of the Regimental Family that are represented in the following pages. Each play a vital part within the organization and are dependent on each other for mutual support. The following is a brief introduction to each of them. 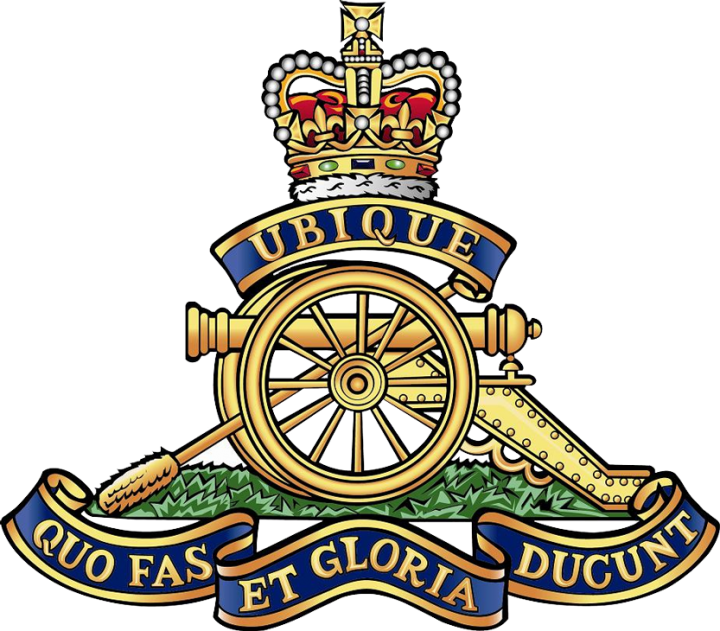 The 15th Field Artillery Regiment, The Royal Regiment of Canadian Artillery is an Army Reserve Regiment located at Bessborough Armoury in Vancouver, British Columbia. The Regiment is a unit in 39 Canadian Brigade Group. 39 Canadian Brigade Group is a reserve brigade formation within 3rd Canadian Division (Western Canada), and supports the efforts of Joint Task Force Pacific (in British Columbia) during times of domestic emergencies such as forest fires and flood watch. During expeditionary operations, 39 Canadian Brigade Group provides individual augmentation to regular force battle groups. The majority of serving members have civilian jobs or attend university and work part-time for the army reserve. Lieutenant-Colonel Pierre Lajoie CD is the current Commanding Officer with Chief Warrant Officer Rob Garrett CD as the Regimental Sergeant Major. Check out what we've been up to so far this year in our 2019 Yearbook. The Regimental Society has been established as a charitable organization for the purpose of assisting the Regiment in organizing its financial requirements. It manages the financial bursaries awarded to Regimental members who are continuing their education. It raises and disburses funds for Regimental teams to take part in such activities as the Tough Mudder competition and battlefield tours. The Society also manages the non-public aspect of some of the construction projects taking place in the Messes and the Armoury. The Directors of the Regimental Society are Honorary Colonels Al DeGenova and Don Foster as President and Vice-President, Major (ret) Bob Mugford as Secretary and Mr. Bernard Rowe as Treasurer. Check out the Regimental Society page for some of their activities. The Vancouver Artillery Association's main purpose is to preserve and safeguard the history of The Royal Regiment of Canadian Artillery in the Lower Mainland. Their main effort has been the establishment of the Regimental Yearbook on this website, the Regimental nominal roll also on this site, the formation of a 25 pounder gun detachment and the ongoing efforts to restore the coastal artillery forts at Yorke Island, Stanley Park and Point Grey. The President of the Association is Leon Jensen OMM CD, the Secretary is Bob Mugford CD and the Treasurer is Bernard Rowe. Check out the Vancouver Artillery Association page. The Museum of the 15th Field Artillery Regiment collects photographs, documents, and artifacts telling the story of the Artillery and its contribution to the life and defence of Vancouver, B.C. The archives collects archival material related to artillery units and installations in the Greater Vancouver area. The holdings consist primarily of unit orders, wartime (World War II) documents such as war diaries and records of defence installations, and photographs of Vancouver units with the emphasis on the 15th Field Artillery Regiment, RCA. The Commanding Officers’ Advisory Board is an organization intended to provide the Commanding Officer with suggestions and advice on matters of a non-operational basis. It consists of the Honorary Colonels, retired Commanding Officers, Regimental Sergeants Major and other key personnel selected by the Commanding Officer.